In the Belgrade University Rectorate Ceremony hall , on March 28, we were given the award “Captain Misa Anastasijevic”. According to the Jury’s official statement, P.R.A. agency received this prestigious award for business vision, long-standing high professional standards, quality of communication and services lasting more than 25 years. Beside P.R.A. this year’s winners are: Generali Insurance company, Teleoptik Gas equipment, Markoni sport, Elitas, Belgrade Paper Factory, as well as individuals: Ljubivoje Ršumović (writer), prof. Danica Grujičić Ph.D, Dobrosav Marić, Director of the National Employment Service, Jelena Đoković, director of the Novak Đoković Foundation , Saša Jaćović, Director of the Agency for Medicines, composer Academician Ivan Jeftić, painter Dragan Stojkov and Milorad Vučelić, Head of the Novosti Daily. 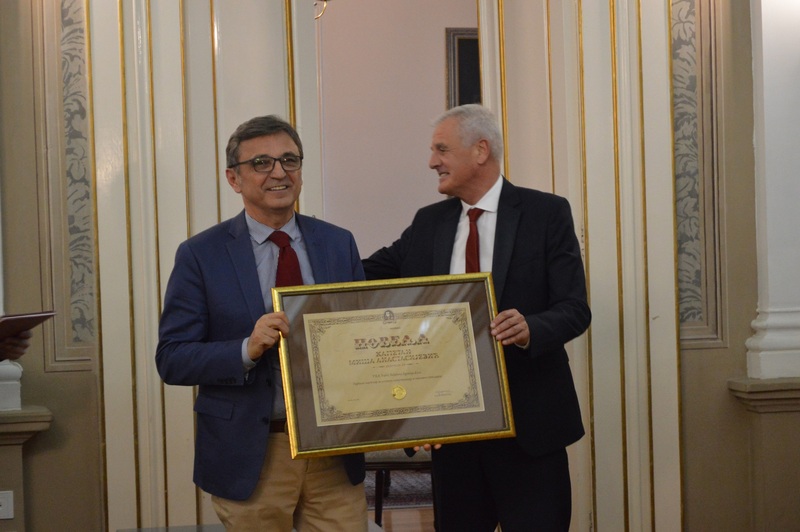 The award, named after the famous Serbian merchant and benefactor of the 19th century, is granted 18 years in Serbia, and since 2016 also in the Republic of Srpska and BiH.